What is idiopathic pulmonary fibrosis (IPF) and who does it affect? IPF is an incurable lung condition with the average life expectancy following diagnosis being just three years. It’s one of the many types of interstitial lung disease (ILD). Interstitial means that the disease affects the interstitium, a lace-like network of tissue that supports the air sacs (alveoli) in your lungs. IPF is the most common type of ILD. In terms of who it affects there is no known cause for IPF so there isn’t a straight forward answer. Our latest research suggests men are more likely to have IPF. It can affect people of all ages, but around 85% of diagnoses are made in people over 70. Some people may be genetically predisposed to develop IPF when their lungs are damaged. Why have the British Lung Foundation (BLF) decided to spend a quarter of its entire research budget on the condition? As with all research, more funds are needed to bring laboratory findings to clinical trials and eventually find treatments that will transform patient care. There is no known cure for IPF so new research is vital. Current treatments aim to slow the rate of scarring, but they do not stop it. This year we published a new study that found that more than twice as many people are living with IPF in the UK (32,500) than figures from the Department of Health suggest. IPF will now stand to benefit from the huge rise in awareness and research donations that has led to real progress being made in other deadly diseases. How much is currently known about IPF in terms of the causes? The causes of IPF are not fully understood. This is why funding for further research is so crucial. It is more common if you’ve been exposed through your occupation to dust from wood, metal, textile or stone. Or, to cattle in farming. Infection from particular viruses might be another cause. We need more research to keep trying to understand in more detail the processes in the body that cause IPF. This will help us to develop new treatments and better approaches to prevent the disease. What impact do you think the BLF funding will have on IPF research? The funding will have a huge impact on research. It is vital that more researchers are encouraged to find better treatments for this awful disease by ensuring there is sufficient funding for their work. Especially given that IPF causes 8,000 hospital admissions a year and significantly reduces quality of life as the disease progresses. What are the main challenges that need to be overcome in terms of finding treatments for IPF? There are two important challenges. The first is identifying the biological mechanisms which cause excessive scar tissue to develop in IPF – this build-up of scar tissue is called ‘fibrosis’. Understanding these mechanisms will simplify the search for new targeted therapies. The second challenge is in the way in which clinical trials are conducted in IPF. At the moment these trials require patients to be followed for a year or more. This means that even when a promising new therapy is discovered it can take as many as 8 to 10 years to move from the first phase of clinical trials through to the final studies necessary to get drugs in to clinic. If trials can be shortened then the speed with which new treatments can be made available to patients can be increased. What promising avenues of research are currently being studied? Currently we are funding a 36 month study using the application of bioinformatics and systems biology to data collected from people recently diagnosed with fibrosing lung disease. 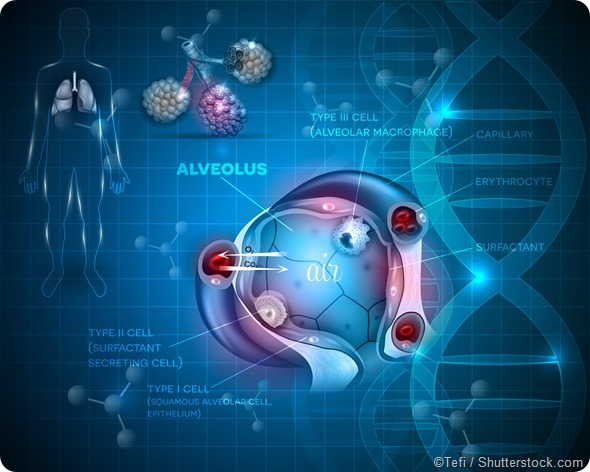 This study will use new computerised mathematical (bioinformatics) approaches to re-evaluate the way different diseases which cause scarring of the lung are diagnosed. It will also aim to evaluate new lung function and blood based measures (biomarkers) to see whether these might be used in clinical trials to provide an early measurement of whether new treatments are effective against lung fibrosis. As mentioned, we hope that these findings will help to bring new treatments to the clinic more quickly. Reliable, up to date information about idiopathic pulmonary fibrosis (IPF) research can sometimes be hard to find. The field is changing rapidly and new information is coming out all the time. Several clinical trials are presently looking at possible new treatments, including combinations of existing treatments, so other options may be available in the coming years. Scientists don’t know exactly how current drugs work yet. In medical studies, they slowed down the loss of lung function in most people with IPF, decreased the rate at which their symptoms got worse and also improved life expectancy. What do you think the future holds for people with IPF? It’s important for people living with IPF to get the support they need to keep enjoying life as much as possible. The British Lung Foundation has both Breathe Easy patient support groups and pulmonary fibrosis support groups that provide a caring and supportive environment. Patients and their families can get together and talk about their condition and discover new ways to manage it. This alongside investment into research to deliver promising new treatments in the future means there is every reason for us all to stay positive. How can people show their support for IPF research? People can donate to the British Lung Foundation. Just £118 can fund a life-changing research project for a day. 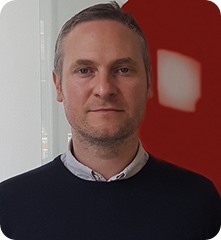 “Ian Jarrold has a Master’s degree in Biochemistry and has worked in the medical research charity sector for over a decade. As Head of Research at the British Lung Foundation, Ian is responsible for all aspects of the charity’s support for research into lung disease.